A day later than normal courtesy of the holiday Monday, we now have the full Nintendo Download details for Europe. It's a packed week with multiple new downloads across Wii U and 3DS that have plenty of potential, along with a Wii Metroid arrival and a highly rated retro-style Nindie platformer. Beyond that there are a lot of Fire Emblem discounts and more besides, so let's get to it. FreezeME (RNC, €9.99 / £8.80 until 7th April and then €13.99 / £12.59) - A 3D platformer that cites N64 titles as an inspiration and with some elements strongly reminiscent of Super Mario Galaxy, this includes a mechanic for freezing items that utilises the GamePad screen or Wii Remote pointer. It's certainly a slick and impressive offering from RNC, earning a strong recommendation in our FreezeME review. 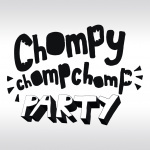 Chompy Chomp Chomp Party (Utopian World of Sandwiches, €10.99 / £8.99) - A highly promising party game that utilises the Wii U's capabilities in allowing up to nine players to take part at once. There are a variety of modes that riff on the core concept of 'chompy' characters chasing and eating each other. We played this and had a hoot in the past, and will check out the full game to let you know what we think. 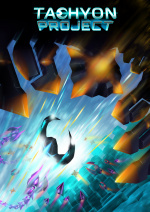 Tachyon Project (Eclipse Games, €9.99 / £8.99) - With a dramatic setting and storyline there'll be 10 levels in which the tale is told in this twin-stick shooter, with each having six progressive waves of enemies. There'll be three challenge levels with support for up to four players locally, while there are six weapons, nine secondary weapons, seven perks, over 30 enemy types and four bosses. We'll shoot every pixel in sight for our review. 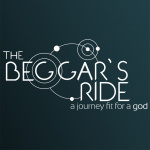 The Beggar's Ride (Bad Seed, €7.99 / £7.49) - This is a puzzle platformer in which an old man dons a mask and is the recipient of mysterious powers, given the ability to manipulate the environment. We'll check it out for a review. Metroid: Other M (Nintendo, €19.99 / £17.99) - A title that caused quite a stir and some controversy when it arrived on Wii, this glossy and cinematic Metroid was co-developed by Team Ninja, incorporating 2D controls within a 3D environment along with some Wii Remote pointer aiming. An ambitious entry with a storyline and voice acting that's not to everyone's taste, it divided fans and critics. For our part we enjoyed it in our Metroid: Other M review. 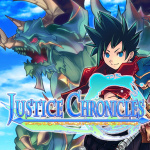 Justice Chronicles (Kemco, €9.99 / £8.99) - Kemco returns with another retro-styled RPG that was originally released on smart devices. On this occasion you team up with the God of Death to help a wounded Battle Maiden on a quest through the world; it sounds like a typical Friday afternoon to us. We'll check it out and bring you a review. That's your lot for the European Download Update this week; let us know what you're planning to download in the poll and comments below. No downloads until My Nintendo for me. Yep. Where is that blasted My Nintendo? Japanese only FE games English translations on Eshop confirmed!! Woah! I didn't realise awakening had so much DLC! Might pick them all up! @GravyThief That would be a dream come true!! I also would like to get some Awakening DLC packs. Do you recommend 2 or 3 of them? I might buy one or two Fire Emblem games on the Wii u VC if My Nintendo is finally available this week. I recommend EVERYONE buys FreezeME. Easily one of the best indie games on Wii U. You won't regret it. At a nice price too!! I'm possibly interested in Tachyon Project. I'll have to read more about it before a purchase decision, though. Metroid Other M has the standard price of Wii-VC titles but I don't think it is suitable here. You can easily get a new retail copy for 20 EUR and a used copy for under 10 EUR. In contrast to the very cheap Metroid trilogy for which the retail price is often at 100 EUR, this seems like a bad deal for going digital. It's strange to see those 3 already released Wii U VC Fire Emblem's on sale.i'm not sure I've ever seen that before with 1st party games.Maybe it's going to be a new thing to help us build up those gold points? Chasing Dead is down to £7.99 already.Its not even had a Nintendolife review yet.I take it the £24.99 didn't quite work out for them? I still have fantasies of an HD remake combining Fire Emblem Path of Radiance and Radiant Dawn for Wii U, but at this point I'll be happy with a Wii eShop release of Radiant Dawn. Surely something has to be in the offing for these titles given all the Fire Emblem attention? I have all the Fire Emblem titles available in the VC, just haven't played them yet - Paper Mario comes first! This is basically the Fire Emblem sale, I'm definitely going to get those! Other M is a brave choice given how divisive it was. Surely there are better Wii VC choices? Waited ages for the Awakening DLC to be discounted, but now I can't see me going back to it. Might pick up Awakening at that price. We're i live it's almost impossible to find retail copies. At even when you do they still cost nearly £40 preowned. Getting Other M once My Nintendo hits. I will definitely be downloading all the FE's on Wii U as well as FreezeMe. They will be made all the more sweeter when MyNintendo (hopefully) launches in the next couple of days. I'll pick up FE: Shadow Dragon. I have all the other discounted Fire Emblem games. Waiting for Fates. I've been thinking of getting the Awakening art book now that it's going to be released in English soon. Also interested in FE Trading Card Game, FE Cipher. I hope they'll translate the cards soon or I'll end up buying Japanese cards. all of the fire emblem dlc I don't have so far for me! Nice! It's a great week for Fire Emblem fans. Not much interests me, but I probably would have enjoyed Fire Emblem Awakening more if I had the Gold and EXP maps so I may pick these up. Missed Other M first time round, so will pick it up now. I trust in NL's review! Anyone know if it will have Gamepad/Pro controller support, or was it one of those Wii-remote only titles? Cool to see all the Fire Emblem sales. Shame I've got them all. Metroid: Other M can still be got new for like £5, though. 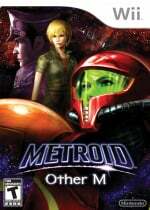 As strange a choice "Other M" is does that now mean we only need Metroid 2 released to be able to play every metroid game on the WiiU? What the hell are Nintendo at charging €20 for Metroid: Other M? You can buy it on Ebay for a few Euros. @Mogster It was a Wii remote only game. Buy it from Ebay, it's much cheaper. @Mogster Wiimote only. And given that it has no accompanying sale, waiting for the Nintendo account system to properly kick in is sensible. And that a physical copy of the game can be found for a competitive price. @phirst Those DS Metroids are missing - Metroid Prime Hunters and Pinball, I think - not sure, though, what their names were. Even after discounts, the Fire Emblem Awakening DLC is still outrageously high priced if you want all of it. So it looks to be roughly £25 or so if you want all the FE:A DLC now, that seems much more fair. I wonder what the chances are of NA getting the Awakening DLC discount. I'm not sure whether I should get an eShop card in preparation but I guess I could wait until Thursday. Lucky Europe! I would totally pick up all 3 Wii U FEs if the deals were here. @Splatburst No download anything until the reward programme launches. Metroid Other M, another Nintendo game overrated by Nintendo Life. The gameplay is poor, the level design is poor and the cut scenes are pleasant too look at. Metroid Prime Trilogy is much, much better. Lots of Awakening DLC discounted but there is like one million of them, what to choose? Hey, folks! Other M is better than it's made out to be! FreezeME! Finally you're coming to europe! Fire emblem Wii would have been a must buy! I hope that comes out between now and fates! Nothing because Other M is bad and overpriced as well as me already having all FE content on the eshop already. That said, those who don't have all the FE content should get it as that franchise is amazing. 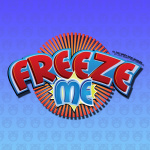 @BarryDunne I'm definitely getting FreezeME! Loved Other M. . . so did lots of reviewers. 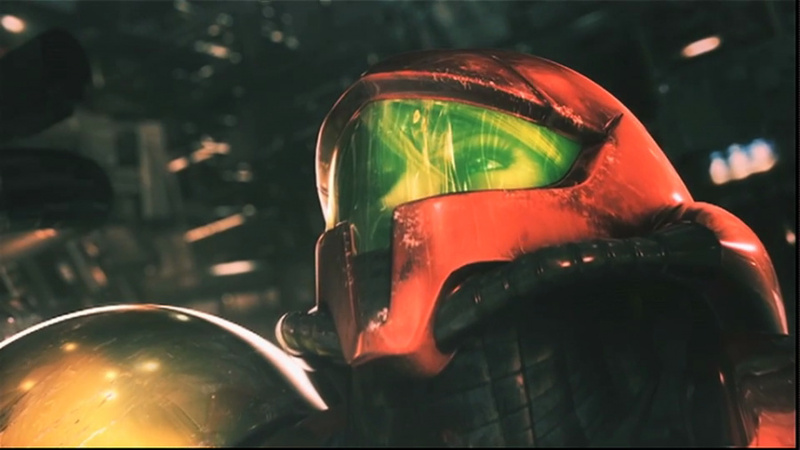 Loved the cinematic cutscenes and had no problem with the way Samus was portrayed. Sure ... It's a different way she has to get her power ups but that's not really an issue that affects the gameplay in anyway. Would've liked nunchuck support but it plays fine with the d-pad. For me I'll be getting lots of Awakening DLC, Fire Emblem for the GBA (I never bought it previously) and FreezeME. I'll wait for FE in America. Other M is a bad game so I'll skip on that. Nothing for me from this list as I have all the FE stuff, but have a few things from previous weeks that I was waiting to purchase until the new account system was implemented. All these games should now qualify for My Nintendo points/coins! Other M may be a terrible game, but at least a digital version won't shred the console from the inside like the disk version does. So I'm glad they're including that option for people who just have to try it for the schadenfreude. FreezeME is way cheaper than I anticipated! Other M is a great game that got waaaay to much flak, but guess what? There will soon be a new Metroid game to give all the flak to: Federation Force. Let's see how mean people can be. Other M is great, play Other M, but buy it physical, it's generally cheaper. Other M!?? Man, Europe gets all the good games!! Ah...Metroid: Other M. I got it for $7 brand new once at a GameStop and it wasn't bad. Worth $20? Probably not though. Chasing Dead I liked the look of, the price wasn't for me plus afew bad reviews on it but at this discount I'll take a chance and also Other M this week. Not a bad week for Europe, particularly for Fire Emblem fans. Hopefully those FE discounts make it to NA since I have yet to pick up both the GBA games. You can get it new for like a 3 quid on disc! Pretty awesome to see my Metroid Resurrection ad up next to Samus in the top stories. If you're an absolute diehard Metroid fan and haven't checked it out, I recommend Other M. If you can get around putting story before gameplay for a different kind of Metroid experience, I've always still loved it! I like how most people hate Other M, but it gets a digital re-release and is one of the most voted for releases for the week. I know I would buy it, since I haven't played it, but I think it is funny. @Rhydas Wasn't there a FreezeMii in Wii Play? @LemonSlice I don't think so. If that's true, it's the first I'm hearing about it. I am interested in the Fire Emblem DLCs. As a matter of fact I havent started the game yet - wanted to play those other games in the series first and as it seems you need to play the game until chapter 6. This will probably make me start playing. In order to buy all packs, I would need to invest about 25 EUR. Is it worth buying them all at that price? Heard some of the DLC are a little bit forgettable. Any recommendations? Good: I can finally have a go at FreezeME a game similar in principle to Yooka-Laylee! Bad: I just recently brought a Fire Emblem Awakening DLC Pack without the benefit of the discount. A little off topic, but is anyone else feeling the pain this week with Hyper Light Drifter coming out on PC knowing it will likely never be on Wii U? How do you know it is never coming out on Wii U? I really dont know for sure but Heartmachine stirred the pot not to long ago by coming out and saying that the U version is unlikely at this point due to some kind of problem with a 3rd party dev or something. Although not officially cancelled yet, these things typically dont end well so Im not getting my hopes up. You can see the statement on the Heartmachine official website. @Rhydas Oooops, confused it with Pose Mii, heh. NOE consistently makes NOA look like a miserable pile of garbage. Note to Reggie. Other M is a fantastic game! I liked the story and i didn't mind the way Samus was portrayed in this game tho it was confusing at first. It's the first Metroid game i completed 100% but that's because it's more of a Metroid Gaiden game than a real Metroid game. Still, this game is amazingly well crafted. Loved it! Still waiting on Xenoblade: Chronicles to show up in NA... Would love to get a chance to play this, too. Get it together, NoA! @JTMnM Me too. I have it on 3DS, but I'd like to play through it again on the big screen. My only gripe with the FEA DLC is that it doesn't scales with your level, so the first maps were really easy and some others require your A+ team. Why do they make wii eshop titles three times the price you can buy the physical copy for? Who is going to buy them and why would they at these ridiculous prices?? I use Allavsoft directly convert the downloaded life story videos from Web of Stories to many video formats including MP4, AVI, MOV, WMV, FLV, WEBM, ASF, MTS, M2TS, etc. I just did the maths about Fire Emblem Awakening DLC. There are 25 chapters. Original price for all packs plus Apotheosis chapter is €48.91. Discounted price is 24.41. You save 24.50. Actually Other M (if you can find it anywhere anymore) has been here for 9.90 for few years I've also bought it, never played it but you know.. ."because it's cheap"
@Gridatttack That's a good thing. Not bad thing. No point leveling your guys if it scales. @Chevron not really. The way it's handed on Fates is that it keeps around the same level at you, albeit a bit slower. It gives challenge and makes it more enjoyable. I played the first Awakening DLC of Marth and since I was already promoted and whatnot, it was pretty boring as I 1 shot everyone and didn't receive any damage. On the other hand, you can't play the other DLC until you are at higher levels. @Dr_Corndog @Mario-Man-Child @RoomB31 It's really not. @Melkac Except, of course, that it is. @Dr_Corndog I'd love to read why you think it is. I've seen tons of reviews saying otherwise. @Melkac It's a case of a fanbase overreacting because the game is subpar for the series. See, before Other M, Metroid had a reputation as a near-flawless series. OM had some legitimate problems that earlier entries hadn't, and people got caught up in those problems, ignoring the game's strengths. Not only that, but the problems themselves got overblown. The game isn't misogynistic; it just seems that way due to bad writing. The controls are funky, but they work fine. The upgrade system is silly and leads to some awkward moments, but it doesn't keep the game from being fun. Other M is the worst Metroid IMO, but that's like saying Jedi is the worst original Star Wars movie. OM is still a fun game in ots own right. @Melkac Why should I watch them when I've played the game myself, twice? So, I know for a fact that a lot of the game's problems are either exaggerated or imagined. Sorry, but there are differing opinions, and then there's being obstinate, which is what much of the Metroid fanbase is when it comes to Other M.
Shame that the DLC can't be bought in the normal eShop. @Dr_Corndog "Why should I watch them when I've played the game myself, twice?" Because your judgement is clearly not very good? And you need someone to actually mention the issues of the game for you to notice them? There's absolutely nothing wrong about agreeing with someone's opinion, you don't have to foolishly think "N-NO THE GAME ISN'T LINEAR BECAUSE I SAY SO! I PLAYED IT!!!" @Melkac I really don't care to engage in a back-and-forth over who has the "right" opinion, especially with someone whose only defense seems to be inserting words in his opponent's mouth. Take that foolishness elsewhere.